← The Devaluation of Motherhood (and Why it Matters). Tiger parenting, French parenting, helicopter parenting, free range parenting, old fashioned parenting. 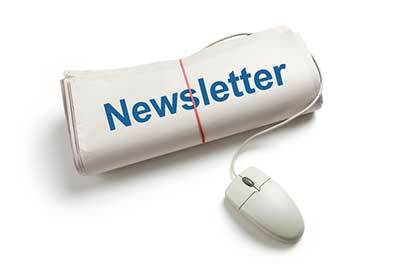 The twenty first century has seen a tremendous surge in new trends of parenting styles. Why, might you ask, is there room for another one? This is the beauty of gentle parenting. Gentle parenting isn’t a trend, it isn’t a label for a precise way of doing things according to one person’s point of view. Gentle parenting is an ethos, a way of being you might say. There are no rules to follow, no demands of your nationality, family finances or personal choices. In a nutshell, gentle parenting is a lifestyle that embraces both your physical and psychological behaviour, not only towards your children, but to yourself too. Gentle parents come from all walks of life. Some choose to birth naturally at home, some elect for a Caesarean section. Some carry their babies in slings, some use prams. Some breastfeed, some formula feed. Some stay at home, some return to work. Some home school their children and others take a more mainstream educational route. They all have one thing in common though, their choices are all informed and educated and made out of respect and empathy for their children as well as themselves. This is gentle parenting, nothing more, nothing less. 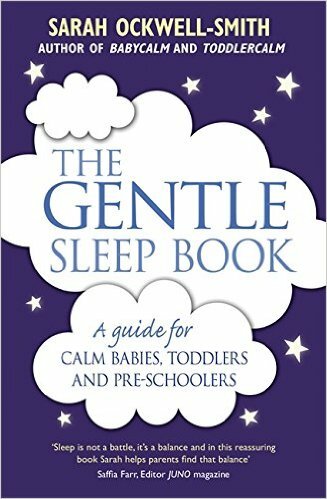 Gentle parenting is mindful of current science and child psychology. It is also respectful of cultural and historical practices of child rearing. It is a holistic philosophy that embraces the emotional as well as practical aspects of parenthood. In gentle parenting children matter, but so do adults too. Parenting should be a dance between the needs of children and parents, with practice this dance can lead to something quite beautiful, with tremendous growth for both. For too long parenting has been viewed as a battle. A battle for control between parent and child. Some parenting methods give all control to the children, for fear of the little tyrants becoming unmanageable monsters as they grow. Other methods give children far too much control, with parents scared to discipline when necessary, for fear of upsetting their delicate offspring. 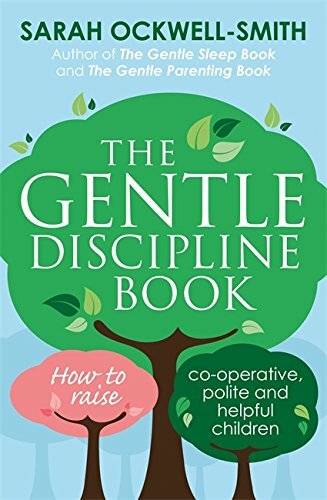 Gentle parenting is all about finding a balance of control, giving children just enough, at a time when they can handle it, with parents enforcing appropriate boundaries and limits. Gentle parenting is about being ever mindful of the long term effects of a parent’s actions as well as the immediate needs of safety and expectations of society. Speaking of societal expectations, gentle parents understand that many of the beliefs society holds about the behaviour of children, at any age, are unrealistic. Much of what we know about children comes from outdated personal opinion. Many of today’s common parenting practices are not only at odds with the needs of children in the present moment, but they may possibly inhibit their development in the future. Gentle parents aren’t afraid to question commonly held wisdom, no matter who it is coming from. Gentle parents aren’t afraid to be an advocate for their child even when their behaviour is frowned upon by the mainstream. Gentle parents have a close connection to their children which allows the children to feel safe, respected and valued. In turn this nurturing environment raises confident, free thinking adults. As the anthropologist Margaret Mead says, never underestimate the difference a small group of committed individuals can make. 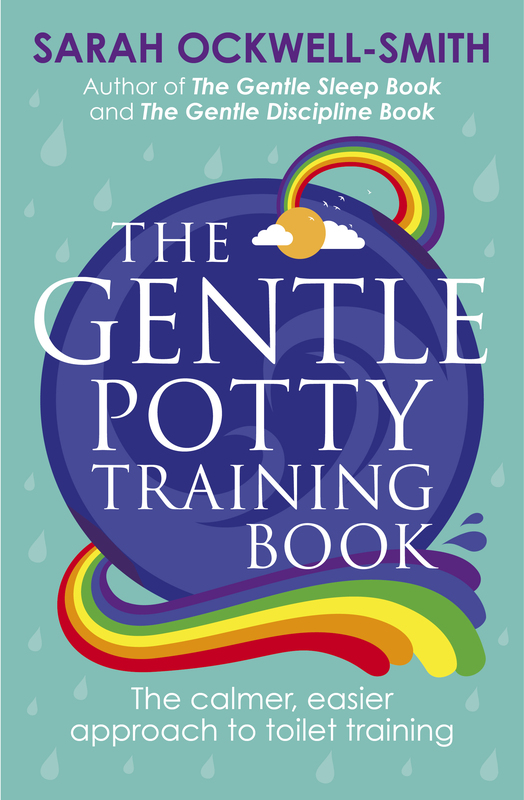 What if the world embraced the notion of gentle parenting, would it change the world? I think it might just do! Gentle Parents are not Perfect. As optimistic as that might sound, gentle parenting isn’t about being perfect. All parents make mistakes. The key is learning from them. Understanding what happened, why it happened and how we can be and do better next time. From this perspective, making mistakes as a parent is not only understandable, but crucial. For it is only when we don’t quite do our best that we can learn to do better next time. 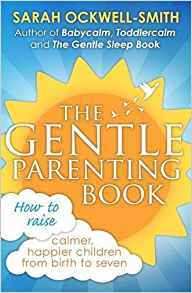 Gentle parenting therefore is about embracing our imperfect selves, forgiving our mistakes and striving to grow as parents. As much as our children are learning, so are we too. Every parent has bad days, every parent has days when they shout, every parent has days that make them feel ashamed. Gentle parenting is absolutely not about being perfect. It’s about being real. Recognising when you are stressed and in need of some ‘me time’ in order to be a better parent. In fact this point is so important I have dedicated a whole chapter to it. Gentle parenting is not easy, but what parenting is? It doesn’t however require anything more than love, dedication and consistency. It isn’t something that is reserved for the most naturally calm, highly educated, ‘stay at home’ parents or those with only one child. It doesn’t matter if you have a temper, how much money you have in the bank, what qualifications you have, whether you have one child or six. It doesn’t matter how you were parented yourself and it doesn’t matter if you started your parenting journey on a different path. At the end of this book you will find a chapter devoted to those parents who previously adopted other, perhaps less gentle, parenting methods and are looking for a different way. You will also find a section dedicated to how to cope with criticism of your parenting. Similarly in a later chapter I will also discuss what to expect in terms of results, when you should expect them and what to do if it gentle parenting doesn’t seem to be working for you. Why Does Gentle Parenting Matter? We live in a world that places more value on things than people. Society today is all about ‘the stuff’ and the pursuit of more. We spend so much time dwelling on the past and planning for the future that we forget to live today. Or we spend so long buried in the busyness of the present moment that we miss the things that really matter. Our society is selfish, violent, short sighted and focussed on conformity rather than respect for individuality. This is the world we are preparing our children for. Do we really need to raise children to conform to this ideology? Or would it be better to raise free thinkers who question ‘the done thing’? Do we need more successful (in the monetary sense) professionals, or do we need more peacemakers? What matters more, happiness or fitting in? Do we really raise children who respect their own thoughts and bodies, or do we raise individuals with confidence and body image issues? Do we raise children who care about the environment or those who view everything as quick, fast, easy and disposable? Ironically in our quest to raise a child to fit with society’s goals we often bypass what’s really best for our child in exchange for raising them to fit in to ‘the system’. How will anything ever really change in our world if we don’t question commonly held beliefs and raise children who will not only question, but importantly help to change them too. Gentle parenting is about creating the generation of the future. A future where adults respect not only themselves, but everything and everybody else around them. A future where happiness means so much more than the house you live in, the car on the drive and the label in your clothes. A future where violence is dramatically reduced, where differing opinions and beliefs are not only respected but valued because adults are confident enough in their own beliefs to not have to belittle those of others that differ. A future where discipline does not involve inflicting physical harm and pain, exclusion, shame and guilt on some of the most vulnerable members of society. Gentle parenting is so much more than what you do with your child at any given moment in time. Raising our children gently builds a better future, for us all, too. Let’s get this out there right now. Gentle parenting isn’t permissive parenting. For those who are new to gentle parenting, perhaps practitioners of more mainstream methods, the most common criticism is relating to supposed permissiveness. They are wrong. Boundaries, limits and discipline play a crucial role in gentle parenting. If you do not discipline your child how can you be truly respectful of them? Part of the problem is in the common understanding of what it means to discipline a child. Ask a straw poll what discipline means to them and the chances are you will be met with a list that includes: “I got the cane”, “my parents smacked me if I was out of line”, “send the child to the naughty step”, “if he’s naughty he goes to time out” or “I was sent to my room with no dinner if I was rude”. In my opinion none of these are effective forms of discipline. They all rely on inflicting physical or emotional pain, through shame and exclusion. How does a child learn how to behave in a better manner if they are not shown what to do, if they have nothing and nobody good to model or they do not understand what they did wrong, or what they should have done instead? Discipline implies that there are two active roles – the adult as teacher and the child as learner. Both should take an equal part of the process. How do children learn best? From imitating us, learning at their own (developmental) pace, learning in a place of safety and security and in a space where their natural desire to make sense of the world is not only respected but also fostered. True discipline in society however is rare. Most children today are punished. Punished for being a child, punished for not acting like an adult, punished for being too inquisitive and eager to learn and punished for not having a well developed centre of self control in their brains. The dictionary definition of punishment is: “causing or characterised by harsh or injurious treatment; severe; brutal”. When children are punished no real learning takes place, the role of the child is passive. The goal of the adult is control and conformity. In most cases misbehaviour is a cry for help. It shows us that all is not well in the child’s world. In effect most of the behaviour control methods in use in society today (the ones we usually describe as ‘discipline’ but more appropriately fit the definition of ‘punishment’) punish the child for having a problem, rather than trying to help them solve it. Do the problems disappear just because a punishment has been administered? Of course not, although the vocalisation or physical manifestations of them may. The problem remains, ready to rise on another day, like a festering wound covered with a fresh bandage. Why not help children to solve their problems? Surely then we are better teachers? Authoritarian, Authoritative and Permissive Parenting Approaches. In 1966 Psychologist Diana Baumrind coined her Parenting Typology, a description of three distinct parenting styles. Authoritarian, Authoritative and Permissive. Baumrind was particularly interested in two facets of parenting behaviour, first the demand parents placed on children in terms of what they expected of them and their behaviour and secondly the responsiveness the parents showed to the children which indicated how in tune, and responsive to, the child’s needs the parents were. Highly demanding. Parent expects behaviour that is perhaps not age appropriate. Strict boundaries and limits, often in excess. Boundaries and limits enforced using punishments. Child is given very little autonomy. Little regard is given to the age appropriateness of the punishment. Very parent centred approach, the adult knows best. Low levels of affection. Low levels of responsivity. Little respect for the child, but demands a lot of respect of the parent. Parents are demanding of the child, but their expectations are age appropriate. Parent sets realistic boundaries and limits. A largely child centred approach. The child is respected as well as the parent. The parent understands the effects of their own emotions. Parents show a great amount of affection and have a good connection to the child. Parent is highly responsive to the child’s needs. The child is often capable of better behaviour but this is not encouraged. Little or no boundaries or limits. Unwanted behaviour is not disciplined and is often explained away. Child is in control, parent has little control. Parent may struggle with their own emotions. Highly responsive to the child’s needs, but can misinterpret them. Baumrind stated that ideally “parents should be neither punitive nor aloof. Rather, they should develop rules for their children and be affectionate with them.” Or in other words the ideal parents would walk a carefully balanced line of good responsiveness and appropriate demand of the child, mindful of their development. The definition of this? Authoritative parenting, or as I like to call it: Gentle Parenting. This is an except from my latest book: ‘The Gentle Parenting Book’. If you’d like to read on you can find the book in all good bookshops, including Amazon and The BookDepository which ships internationally. This entry was posted in Babies, Birth, Education, Mothering, Preschoolers, Teens, Toddlers, Uncategorized and tagged gentle parenting book, gentle parenting book blog, gentle parenting book contents, gentle parenting book different from babycalm, gentle parenting book different from toddlercalm, gentle parenting book good, gentle parenting book review, gentle parenting doesn't work, gentle parenting examples, gentle parenting sarah, gentle parenting sarah ockwell-smith, the gentle parenting book, what is gentle parenting. Bookmark the permalink.